These 10 startups from London have been selected by the Innovation Forum evaluation committee to enter IMAGINE IF! Accelerator Program. The startups have received free mentoring and advice by industry experts from leading corporations including Johnson & Johnson, AstraZeneca and access to the international Innovation Forum network and will pitch at the Regional Finals that are taking place on the 3rd of October at the UCL Innovation and Enterprise hub at Base KX. Regional winners will secure their participation in the Global TOP 20 startups at the Global Final in Oxford on the 5th of December 2017, where they will have the opportunity to pitch in front of international industry professionals, stakeholders and investors. The winners will be awarded with a non-dilutive cash prize professional support for rapid development of their company and 6-months of free workspace. The Innovation Forum team thanks all the teams that participated in the competition. These are the 10 startups of IMAGINE IF! London 2017 and we wish them good luck for the Finals! Aergo was created to empower people with disabilities. In 2015, award-winning designer, Sheana Yu, became inspired by a visit to a Special Educational Needs School and built a posture support to help children interact better with their environment. Having suffered with scoliosis throughout her life, Sheana wanted to find a better solution to managing posture for children with physical disabilities. Aergo Ltd launched in September 2015 and early prototypes earned Sheana and her colleague, Dan Garrett, Fellowships from the James Dyson Foundation and Wates Giving Foundation. Aergo aims to be the world’s most adaptable postural support system. It uses a network of patent-pending air cells to support individuals of all shapes and sizes. The remote-controlled system provides adjustable pressure-relief for a range of physical conditions and is the first device of its kind to grow with the user through its expandable frame. Aergo’s mission is to design universally accessible products that empower everyone to reach their full potential. Their vision is a world where people are not disabled by the environment around them. 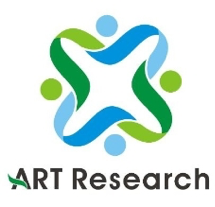 Advanced Retention Therapeutics (ART) and Research Ltd was formed by a young entrepreneur and his supervisor at the University College London in 2016. ART Research focuses on development of non-invasive technologies for controlled release of drugs in the body. With their Dosing On Time technology (DotTech) they can control the intervals and the amount of a drug released in the circulation of a patient and thereby improve drug efficacy and reduce side effects. DotTech is the first technology in the world to manage drug dosing over a period of a week. ART Research aims to improve patient health and quality of life by accurately controlling the concentration of a medicine in the circulation with a minimally invasive technology. In addition, their technology will improve drug compliance, especially in patients who suffer from brain disorders that render them unable to remember when to take their pills. IMAGINE IF! helps them expose their product, attract partners, advisors and investors to further optimise and advance their technology. BRAINCURES is a virtual pharmaceutical company formed by Dr Krzysztof Potempa, a neuroscientist with experience in advanced analytics of neuroscience datasets gained both in academia and industry. 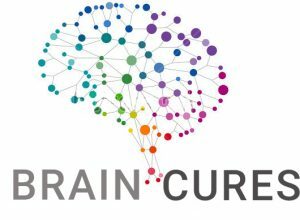 BRAINCURES focuses on translating the knowledge we have gained about the molecular underpinnings of learning and memory into medicines that conquer brain disorders. While brain diseases affect at least 1 in 10 people worldwide and their families, most brain diseases have only symptomatic treatments due to unclear disease mechanisms. To address this translational gap and societal urgency, BRAINCURES has applied a molecular mechanism of diseases approach to turn data into actionable leads for drug development or co-development. For example, their processes and knowledgebase provide non-serendipitous and disease biology supported drug candidates for common and rare brain diseases that add value across the drug discovery pipeline. BRAINCURES is a personal mission and a natural evolution of a bench researcher turned into a computational neuro-drug hunter over the last ten years. Being passionate about addressing this 21st century brain disease challenge, they would like to see science make a change for patients with brain diseases such as Alzheimer’s disease and rare diseases that affect the aging or young populations by 2022. So far, the company has been funded by boot-strapping efforts from returns on investments of redundancies. The IMAGINE IF! accelerator has brought them in contact with a number of mentors who are helping to convert the BRAINCURES dream into a reality. CortiCare was formed by a team of young scientists from Imperial College London in 2016. CortiCare aims to bring the power of a diagnostic lab at home and make real-time health monitoring easily accessible to everyone, anywhere, anytime. This innovative technology company is developing a smart portable device for affordable, quick and accurate hormonal testing. CortiCare transforms the current hormone testing procedures by significantly reducing the cost, turnaround and ease of use of these tests by using novel biomimetic materials developed at Imperial College London. In addition, their technology is minimally invasive since it uses saliva as the starting medium of analysis. The greater impact of CortiCare’s technology is to allow anyone to frequently monitor their health and adjust their lifestyle based on the easily comprehensible results that their platform provides. In this way people can unlock deep information about their bodies and transition to a proactive approach to their health rather than a reactive one. To date, they have received financial support from Angel Investors, have expanded their team to 5 full-time employees and IMAGINE IF! will help them reach the next inflexion points. Founded by three PhD students at Imperial College London, Fresh Check share a mission to improve lives through innovative technology. The company is changing the way that we understand bacterial contamination by visualising levels of contamination on surfaces with a simple colour change technology, which changes from blue to orange in the presence of unsafe levels of bacterial. This colour change technology is leveraged into two products, a spray which can be used to detect dangerous bacteria in at risk areas, such as kitchens and toilets and a smart use-by date. The smart use-by date provides a qualitative on the spot measurement to the safety of your food. This technology will both empower increased food safety and reduce food waste through improved empirical measurement of bacterial contamination. Fresh check hope to initially launch their colour change spray to consumers to health standards agencies around Europe over the coming year. To date they have received recognition of the potential impact of their technology though support from Imperial College Entrepreneurship, Climate-KIC and Shell liveWIRE. The IMAGINE IF! program will help them increase their production capacity and establish global partnerships. Neo innovations is a start-up formed in 2013 by Neomi Bennett, a nursing graduate from Kingston University and a registered nurse. Neo-slip is a low friction device, which aids the application of medical stockings, which are very tight fitting and difficult to apply. It is made from a material that acts as a barrier between the skin of patients’ feet and legs and the material of tight medical stockings. By forming a barrier, Neo-slip makes their application much easier for patients and their carers. While training as a nurse, Neomi noticed that people were struggling to apply their medical stockings. Through research she discovered that 25,00 people die of deep vein thrombosis each year and stockings help to prevent this. Medical stockings will only deliver benefits to patients if they are worn regularly as directed by health professionals. However, the difficulty of applying these stockings, means patients often stop wearing them. Over the past two years, Neo-slip has gained approval for listing on both the NHS Formulary (the catalogue of products approved for dispensing via prescription) and NHS Supplies, which is the main procurement portal for NHS trusts and hospitals. Neo-innovation is also working on new products, which will be taken to the market alongside Neo-slip. IMAGINE IF! will help Neomi’s plans as she hoping to access the wide network across the innovation forum platform and the potential to secure non-dilutive capital and advice from their leading professional services. Smart Flora is a start-up which aims at providing a personalised probiotics regimen based on the individual bacterial composition of the gut. It was formed in 2017 by Shannon Doyle, a pharmacology graduate from University College London, as part of a project within the start-up accelerator Deep Science Venture. Through Smart Flora, customers will be able to send their sample from the comfort of their home for an analysis of their gut microbiome, which is the best predictor of a healthy gut. Based on this, Smart Flora can recommend the best probiotic combination for each customer. Another test is performed three months later to see whether the diversity of the microbiome has improved. The recommendation is provided based on the scientific data available on the efficacy of probiotics for specific conditions. Therefore, this is already the best solution for people with gut problems who are looking to use the probiotic which has the highest chances of being effective and to monitor their gut health with gut tests that give insight into the person’s microbiome diversity. The initial package is ready and currently in its testing phase, and Smart Flora are looking for customers to trial this offering. Smart Flora is developing a bioinformatics tool which can model how the microbiome changes over time and how different probiotic formulations will affect this and will integrate this technology into the product in the future. Smart Flora was recently awarded the first prize of £10,000 from UCL Enterprise. Imagine IF! has already been incredibly helpful by putting them in contact with their mentors who are helping to draw a marketing and an intellectual property strategy and to develop a new branding. Surgical Consent are driven by a vision to ensure that every decision about your health is the right one for you. The company was co-founded by two practicing surgeons with over 16 years if clinical experience between them. They realised that patients were often poorly informed about the operations they were about to undertake, and often too little had been explained to them about the other options available to them. The Surgical Consent platform was built to tackle these challenges and enable better decisions to be made between patients and their clinicians. The platform strives to improve the lives of millions of patients each year, whilst also helping clinicians guide conversations towards supported decision making, giving the hospitals the confidence of an electronic fully auditable system. Surgical Consent plans to initially implement its platform on a trust-wide scale in a number of NHS trusts, positioning them to rapidly scale nationally and internationally. The company’s technology and vision has been recognised through support from the NHS Clinical Entrepreneur Programme and the Imperial Healthcare NHS Trust ahead of their trust-wide launch. The IMAGINE IF! Program will provide the international platform to showcase the potential for Surgical Consent, supported by the wealth of mentor experience and targeted funding support. 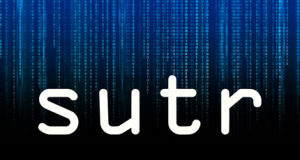 SUTR is a novel technology that enables surgical students and instructors to receive and deliver metric-driven feedback on surgical performance. It is built to fill a technology gap in surgical education for practice expertise in simulation environments – improvements that yield better patient health and quality of life for healthcare professionals and trainees. Sutures are critically important to every aspect of surgery, yet research has shown that UK medical students require more practical training in suturing in order to be competent before working with patients. Instructor time is precious, visual assessments may vary, and while students are practising independently at home and compete for scarce practice time in the operating theatres, responsive feedback on surgical skills still requires the presence of a surgical expert. With SUTR, surgical trainees can practice suturing on simulated environments (e.g. a banana, a low cost environment whose texture simulates skin tissue). After submitting their practice suture our algorithm will give them objective feedback and advice on how to improve their suturing technique. SUTR de-links prohibitively costly spatial and timing requirements currently limiting individual improvement. Surgical trainees will find SUTR indispensable because it provides immediate feedback and dovetails into their e-portfolios as evidence of individual practice. It will become popular among surgical instructors because of its objective metrics for efficient and informed grading. Trainees will be able to post their sutures, ask questions, and advise one another. Instructors can electronically send advice to enhance trainee learning efficiently, and at their convenience. All that students require is a smart phone with the SUTR app installed, a suturing environment such as a banana, and a basic suturing kit. All these items are already in their possession or very easily obtainable. The low-cost entry will allow students from developing healthcare systems to improve their suturing technique dramatically while getting advice from colleagues and instructors from around the world. Furthermore, it will improve efficiency and decrease costs in developed healthcare systems such as the NHS, by increasing the suturing competency level of students with no additional burden to expert surgeons, improving the quality of care provided for patients. ThinAir was formed in 2016 by a team of four young scientists from Imperial College London and aims to solve one of the three biggest problems on the planet, water scarcity. 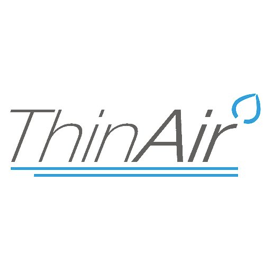 ThinAir has developed a bio-membrane that condenses water from atmospheric air efficiently and energy-free. The team that formed ThinAir were inspired by the potential of biomimicry and they based their idea on the way beetles capture water from the atmospheric air even in the driest habitats in the world. ThinAir aspires to provide a clean source of water anywhere in the world. The technology will facilitate agriculture in dry environments and provide clean water for human consumption in areas where clean water is scarce. To date they acquired their financial support by winning competitive grants from several national and international start-up competitions including the Global Cleantech Challenge (1st place) and McKinsey Venture Academy (1st place). IMAGINE IF! will help them to continue to develop the technology, ready for a pilot project in 2018 and publicise their technology as they look to establish partnerships. You can meet the teams, and also our judges, mentors and investors, at the London Regional Finals. Innovation Forum UCL branch is recruiting!